KPMG’s International Development Advisory Services (IDAS) team is looking to recruit a Team Leader for the upcoming EU Agri-Connect: Supporting value chains for shared prosperity – Technical Assistance to improve sector enablers and the business environment for tea, coffee and horticulture in Tanzania, which we will be submitting a proposal for. cooperatives and local community organizations; mentoring and developing supportive networks between businesses in Tanzania and the region. We work effectively with a wide range of clients, from global organisations to entrepreneurial start-ups within Tanzania and across Africa. KPMG has a global reach, and a depth and breadth of knowledge and relationships in Tanzania, which is aligned with our clients’ needs and expectations. We are seeking a dynamic individual with broad based knowledge of agriculture value chains to provide oversight over the implementation and day to day management of the EU Agri-Connect programme as a Team Leader. 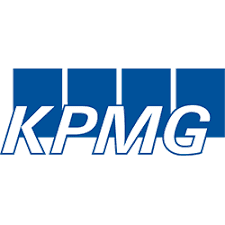 The role is likely to be based at KPMG offices in Dar es Salaam, Tanzania with regular travel within the country. Programme, which is expected to have a duration of at least 3-4 years. We are looking for international or locally based candidates that are able to take on a full-time role. The Team Leader will provide overall oversight, ensure quality assurance and enable coordination, and take the overall responsibility for delivery of programme outputs by the team. Lead and oversee all aspects of Programme Implementation including overall management of the Programme, finances and operational procedures. Oversee the design and planning of initiatives within the programme including monitoring and evaluation and knowledge sharing. Accountable for the achievement of results, ensuring quality of services are maintained at the highest standard, and that all project objectives and deliverables are met. Manage key stakeholder relationships, e.g. the Donor, Consortium Partners, high-level stakeholders, etc. Minimum 10 years of experience in senior positions, managing and leading agriculture/value chains programmes, preferably in the East African Region. Minimum 15 years’ experience in the agriculture sector, with a focus on value chains. Specific experience working in the coffee, tea, or horticulture sectors is a plus. Graduate/Masters qualification in Agriculture, Agricultural Economics, or a related subject. Demonstrated experience in managing donor-funded aid investments and programs in Tanzania, preferably those funded by the European Union. Strong professional oral communication, writing and analytical skills, including development of reports, learnings and oral presentations. Proficiency in Swahili is a plus. Internally, the Team Leader will work with KPMG Programme Manager including Consortium Partners and; Externally, with the institutional local partners, Local Government Authorities, Other KPMG offices, and Individual consultants/experts that may be engaged for the Agri-Connect program. iv) Increased capacity of District Authorities to tackle malnutrition and foster growth of target value chains. Applications will be evaluated on a rolling basis until a suitable candidate is hired.